this great article on transgender health. Navigating the health care system can be a nightmare for transgender individuals. But some local providers are working to change that. When his biologically female child started wearing boy’s clothing, UCSC computer science professor Scott Brandt and his family thought nothing of it. When adolescence hit, though, things got more complicated. Things got so bad that Brandt started monitoring his child’s computer chats, so when he wrote to his friend ‘I’m going to die tonight, I’ve already taken half the pills,’ Brandt ran to his room and confronted him. 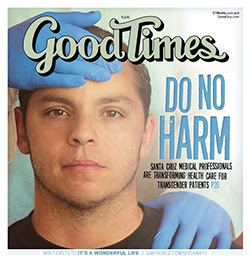 Editor's Note: Thank you Good Times for running such a compassionate and detailed article about the challenges that face our children and the struggles we have as parents. 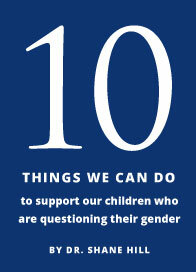 We want the same things for our kids that anyone does: to be safe, nurtured and cared for. And we want their medical providers to do no harm. Spot on. Thank you.